It is 1642 in the Puritan town of Boston. Hester Prynne has been found guilty of adultery and has borne an illegitimate child. In lieu of being put to death, she is condemned to wear the scarlet letter A on her dress as a reminder of her shameful act. Hester's husband had been lost at sea years earlier and was presumed dead, but he reappears in time to witness Hester's humiliation on the town scaffold. Upon discovering her deed, the vengeful husband becomes obsessed with finding the identity of the man who dishonored his wife. To do so he assumes a false name, pretends to be a physician, and forces Hester to keep his new identity secret. Meanwhile, Hester's lover, the beloved Reverend Dimmesdale, publicly pressures her to name the child's father while secretly praying that she will not. Hester defiantly protects his identity and reputation, even when faced with losing her daughter, Pearl. 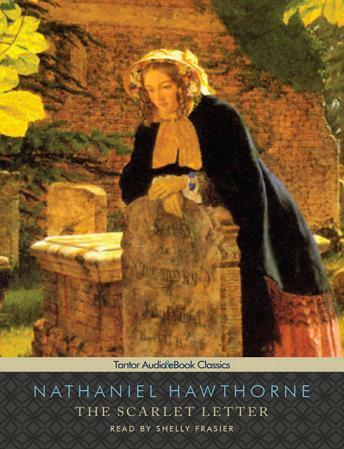 Hailed by Henry James as 'the finest piece of imaginative writing yet put forth in the country,' Nathaniel Hawthorne's The Scarlet Letter is a masterful portrayal of humanity's continuing struggle with sin, guilt, and pride.